If you are familiar with Andy Weir’s novel The Martian, you know that the main character, Mark Watney, is a botanist and an astronaut. He is the Martian because, thinking him dead after a horrible storm, his fellow crew members leave him behind on Mars. You also know that Watney is quite the determined character. He survives by using his skills and his scientific knowledge, but even moreso he survives because of the dispositions he possesses. 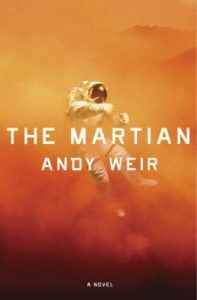 When I learned that Andy Weir would serve as spokesperson for our 2017 School Library Month, I was thrilled because his novel’s main character, Mark Watney, displays dispositions that we, as school librarians, work to instill in our students: innovation, adaptability, persistence, and resilience. As we help students to develop these dispositions, we further empower them as individuals and as learners. In order to survive on Mars, Watney realizes that he must grow food. Suffice it to say that he displays creativity and innovation to grow his crop of potatoes. 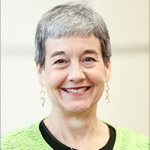 As school librarians, we create stimulating, resource-rich, safe, welcoming environments in our library spaces, fostering creativity and innovation in our students. We provide students with opportunities to think, create, innovate, share, and grow. We empower students to be innovators! Watney repurposes, recycles, and reuses every material and piece of equipment available to him. He adapts to the situation and environment in which he finds himself. The world in which our students live now and the world in which they will live in the future require adaptability, flexibility, and change. As librarians we model the dispositions of adaptability and flexibility for our students on a daily basis as we do our jobs. We show students what it means to be adaptable. Watney faces numerous challenges as he tries to communicate with those back on Earth, but he persists—with signs, with basic computer codes, with whatever it takes—until he succeeds. We’ve all heard the old adage, “if at first you don’t succeed, try, try again.” We regularly encourage our students to be persistent—to keep looking for that just right book or to keep trying different terms and combinations of terms when searching for information. We help students develop a disposition of persistence, and we celebrate with them when that persistence pays off. As if being left behind on Mars isn’t enough, Watney manages to blow up the Hab where he is living and destroy the crops he has grown, yet he doesn’t give up. Time after time, crisis after crisis, he bounces back. As school librarians we are first and foremost teachers. We work with our students across years and across grade levels. We watch them grow, and we can support them in ways that their classroom teachers can’t. We can support resiliency. As we celebrate April as School Library Month, we model for our students, and we help them put into practice, the dispositions that will empower them—in school and in life.